Houston was found dead in a hotel bath in Los Angeles in 2012. 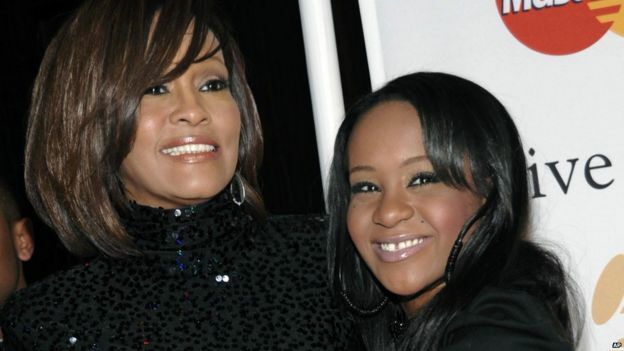 “Bobbi Kristina Brown passed away July 26 2015, surrounded by her family,” Ms Foster added. 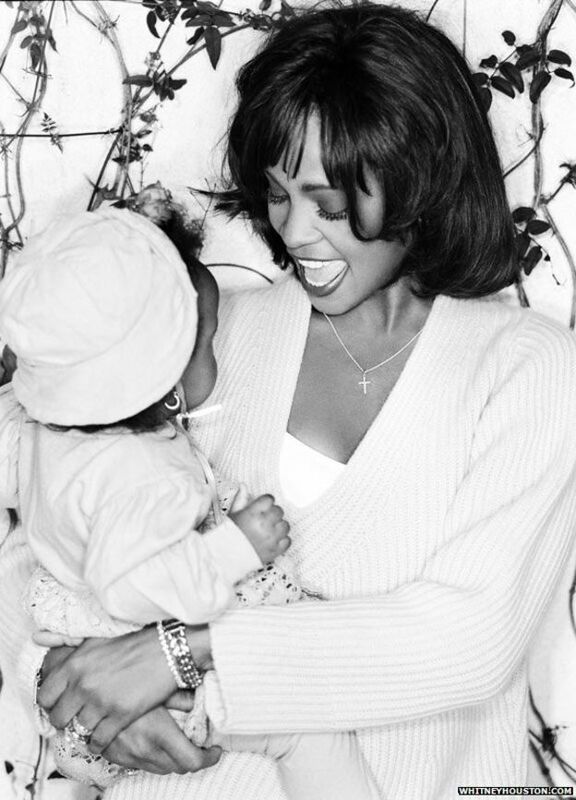 She began performing with her mother as early as 1999, singing duets of My Love is Your Love and recording Little Drummer Boy for a holiday album in 2003. She was taken to hospital twice with anxiety after her mother’s death. In January, police said Brown was found in a bathtub in the suburban Atlanta home she shared with Nick Gordon, the man she called her husband. A police report described the incident as a “drowning”. Mr Gordon said at the time she did not appear to be breathing and lacked a pulse before emergency services arrived. Although she was found face down in her bath, the 22-year-old also had bruises on the front of her body. Authorities later concluded that she had suffered injuries to her face and mouth in a car crash several days earlier, saying they were not the result of foul play. Brown was placed in a medically-induced coma and had been breathing with the aid of a ventilator before she died on Sunday. Medical examiners have since said a post-mortem will be needed to evaluate what led to her death. Fulton County Medical Examiner’s Office said the time that had elapsed from when she was found in January will “complicate” its effort to reconstruct events. Frosty relations between Mr Gordon and Brown’s relatives came to a head in June, when her court-appointed representative sued Gordon, accusing him of misrepresenting his relationship with her. He was alleged to have transferred $11,000 (£7,091) of Brown’s funds into an account controlled solely by him while she was in hospital but was never charged. As her health deteriorated last month, US authorities said they would be reviewing the circumstances of her condition “with greater interest”. “An announcement regarding a charging decision, if any, will be made at the appropriate time,” Fulton County District Attorney Paul L Howard Jr told People magazine. A cheesy line of dialogue in the Diwali blockbuster Happy New Year proffering a rather simplistic piece of wisdom can be paraphrased thus: “There are two types of people in the world—winners and losers”. Few people these days can be tagged with a rare degree of sanguineness than the film’s leading lady, Deepika Padukone, and she is undeniably a winner. Her seemingly obvious triumph is unique for the surprising fact that a few years back she was a hair’s breadth away from being labelled a loser, headed for a plateau peopled by inter changeable B-town beauties. Yet, on hindsight, Deepika’s initial choices after Om Shanti Om appear to be a series of catastrophic missteps. Indeed, her ascent has been pockmarked with pitfalls. Deepika received a lavish launch in Om Shanti Om (2007), which pitched her as a wispy, willowy vision. Subsequently, Deepika played by the starlet rules and signed on for a string of forgettable roles in which her acting calibre and potential was untapped, running the very real risk of being dismissed as another glamour doll. But she had the discipline to look beyond temporary setbacks; she had the keen nose and big heart for the big game. Each time she fell like a limp shuttlecock (a perfect metaphor for a badminton player),Deepika picked herself up for the next serve. The accretion of many minor leaps led to the gradual blooming of Deepika’s talent a perceptively acted scene in Love Aaj Kal, an exhilarating dance move in Karthik Calling Karthik, a calibrated half-glance in Aakarshan…. Her alleged beau Ranveer Singh says, “A lot of people started noticing Deepika’s performances after Cocktail because it was a success, but I had noticed it earlier, in Love Aaj Kal, Break KeBaad and Lafange Parindey.” Deepika’s tenacity and Zen like temperament paid off when Homi Adjania’s Cocktail (2012) made her the toast of tinseltown. Her uninhibited performance as the free-spirited Veronica, grappling with love and jealousy, drew as much notice as her blood-red bikini. But 2013 proved to be the annus mirabilis fate’s capricious wheel spun repeatedly in her favour, and four of her films raced past the Rs 100-crore benchmark. By the time Race 2 and Yeh Jawaani Hai Deewani came on the heels of Cocktail, Deepika was walking tall even without stilettos. As a bespectacled plain Jane transformed by her love for a commitment-phobic travel photographer, Deepika’s chemistry with Ranbir Kapoor in YJHD impressed beyond the screen. Showing maturity few then would credit her for, she had let her head rule her heart and worked with Ranbir despite their real-life break-up. I have seen Ranbir and Deepika together at Indigo restaurant when they were dating—she was sniffling daintily into a kerchief while he thoughtfully ordered hot tea for her. They had an unmistakable connect that was captured on screen. With the blockbuster Chennai Express came a meaty role a rare prize for leading ladies beside superstar Shahrukh Khan. Deepika’s Hindi-challenged shenanigans provided a formidable foil to Shahrukh’s comedic chops. Sanjay Bhansali’s high-octane drama Goliyon Ki Rasleela Ram Leela was like the wind beneath her wings. Resplendent in the earthy songs, Deepika also projected fiery defiance as a strong-willed Juliet who defies her gangster mother even as she amputates her finger. Deepika finally bagged the last star on her coronation diadema best actress award for Ram Leela. She also collected trophies for Chennai Express. “Awards matter; they are a sign of appreciation,” an elated Deepika admitted. Seldom has recent Bollywood success been so well-earned she has the hard-nosed discipline to take on a gruelling work-schedule. You can’t feature in major roles in four films a year without missing several Kodak holiday moments. Happily for Deepika, she is placed at the cusp of several staples demanded of Bollywood heroines. She can look strikingly modern, with her rangy body, interminable legs and washboard abs, but can also exude a turmeric-soaked, earthily heady glamour with her ethnic appeal. Crucially, she is also willing to chance her hand at edgy ventures. Deepika pushed the envelope with another Adjania adventure, Finding Fanny (2014), and discovered a streak for black comedy. She wrought a fine balance with her goofy chirpiness in HNY. Farah Khan’s film was no barometer for subtlety, but Deepika was fetchingly tongue-in-cheek as the no-hold-barred bar dancer. More chapters would be added to Deepika’s story. She has three interesting films in store for 2015 Shoojit Sircar’s Piku with Amitabh Bachchan, Imtiaz Ali’s Tamasha with Ranbir Kapoor and Sanjay Leela Bhansali’s Bajirao Mastani with Ranveer Singh. “I have pivotal roles in all these films,” she says. Deepika has a fetish for shoes, but admits, “Getting my shoe size is a difficult task.” Big feet or not, she seems destined to leave a large footprint.